What if you could monitor your health without wearing any device at all? That's the pitch from Oxehealth, a startup that wants to turn cameras into tools for tracking our vital signs. 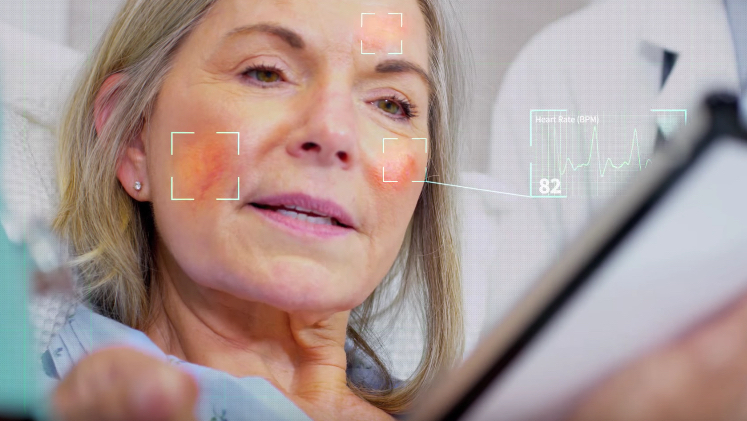 Oxehealth's technique uses cameras to detect the location of a person and then extract health information, according to TechCrunch, using a combination of computer vision, signal processing and machine learning. Vital signs such as heart rate and breathing rate can be analysed, and the big thing here is that it can be done on any video camera with a reasonably capable chipset, which is why Oxehealth is looking to be a software-only company. Oxehealth plans to extend its tracking to more health indicators, so that its technology can also monitor blood oxygenation, temperature and blood pressure, making it a pretty comprehensive health platform. It may not necessarily be something you'd want to do in your home, but there are loads of potentially great applications here, such as keeping an eye on elderly people who live alone or monitoring hospital patients from afar. Oxehealth showed a demo using a 2-megapixel camera at TechCrunch Disrupt London, demonstrating how many existing cameras will be able to adopt the software. It's competing against 14 other startups at the event in hope of a $50,000 prize.